Crane Repairs and Scheduled maintenance contracts can be taken out. These should be done to each item of lifting equipment at least every 12 months, but in some cases as often as every 1 month. 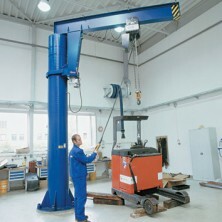 This is determined by crane usage and the environment in which the crane operates. Official service sheets are filled in by the engineer and from that a report detailing any remedial repairs and their urgency is issued. 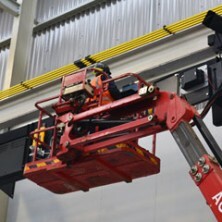 On site load testing of overhead cranes, gantries, hoists and runway systems and swing jibs in accordance with statutory requirements.